Experience scuba diving in one of Europe's most dramatic coastline with this discovery course in Sesimbra. 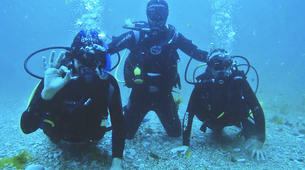 Scuba diving is a unique experience that allows the participants to discover the fantastic underwater world. 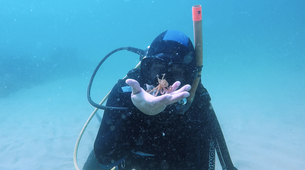 This first experience will take place in the Arrábida/Sesimbra coastline at the Professor Luíz Saldanha Marine Park, which has calm and clear waters vibrating with biodiversity. 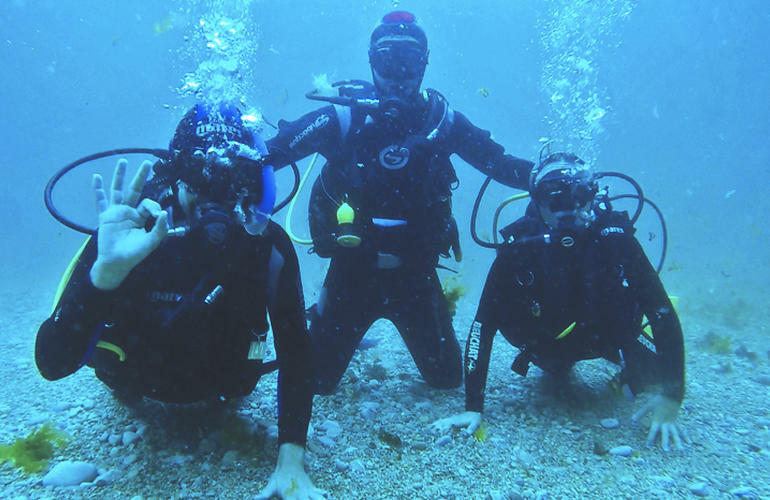 During this experience program, you will go through the basic pre-dive safety procedures and scuba equipment under the watchful eye of a Scuba Diving Instructor, followed by an underwater tour. To get to the diving spot you will take a boat that departs from Sesimbra’s harbor. Hardly an hour drive from central Lisbon, the dive centre is situated in the coastal town of Sesimbra in southern Portugal. The closest airport is Lisbon Portela Airport (49 km). 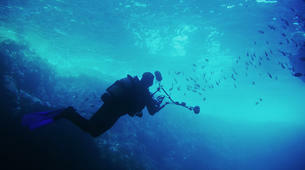 Numerous dive sites are available along the coast line between Sesimbra and Cabo Espichel. 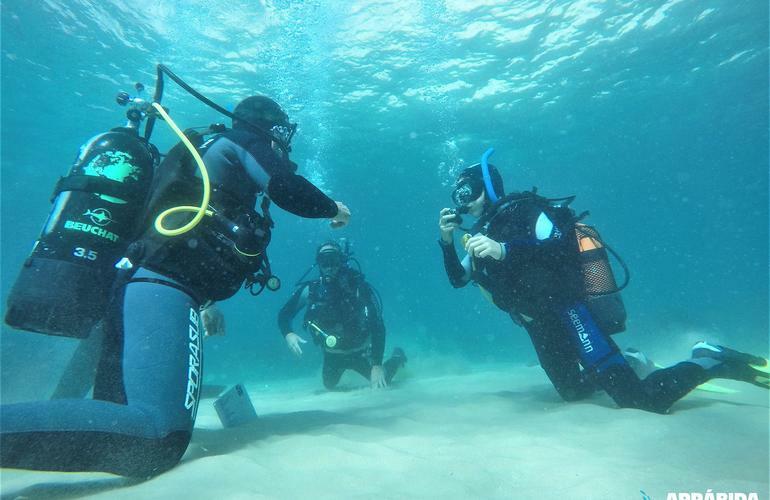 A four-hour introduction to scuba diving course on the Sesimbra coastline, the Scuba Discovery Program offers a firm foundation on the basics of scuba diving. During this half-day course, you will go through the basic safety procedures with an instructor at the dive center before learning in-water skills like equalizing your ears, buddy checks, basic buoyancy control, underwater communication, and more. You will also be given an introduction to basic scuba equipment followed by an underwater tour in the local marine reserve. 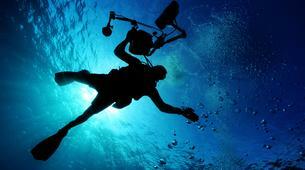 A wide range of dive sites for inexperienced divers can be found along the coast line. 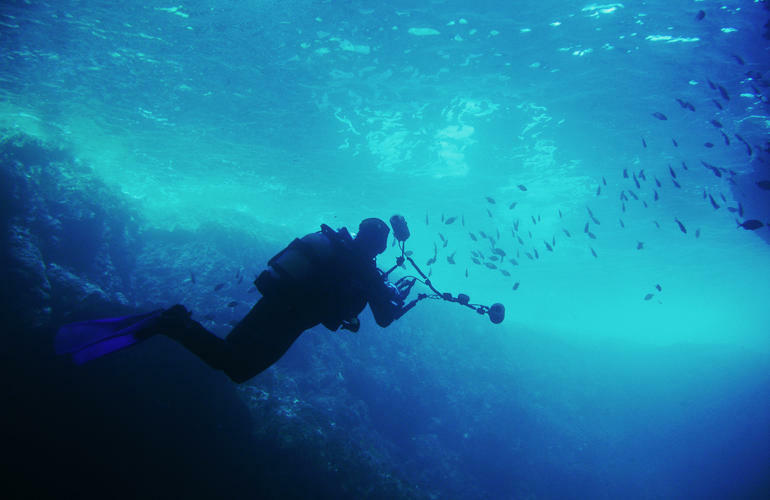 Maximum depth for this experience is limited to 9 meters. 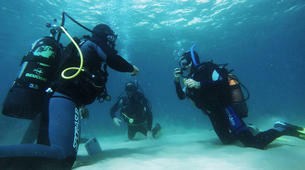 Scuba Diving in Sesimbra can be done all year round. The average water temperature ranges between (16-17°C) and a wetsuit is required. The water visibility is generally between 3-8m/10-26ft but can get up to 15m/49ft. Please note you are not allowed to fly for up to 24 hours after your last dive. It was my first time scuba diving and definitely not the last time. I’ve learned a lot and saw a lot of fish, plants and other animals. A great experience I won’t forget!!! It started with wearing a wet suit and it felt worse than wearing clothes two sizes small. When we actually went into the water, it was one of the most beautiful views I have ever seen. I have seen it all: sea star, octopus, fish, anemone. Great colors. I have even an empty shell.